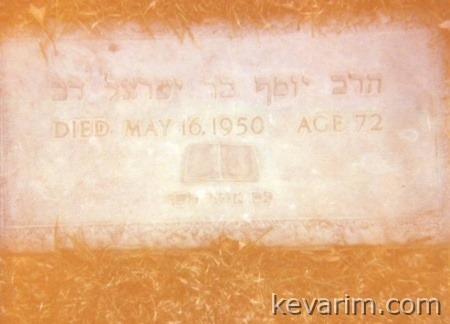 Rav Liflan’s safer (book) Gerim V’gerot was published posthumously. Now that you have the picture, I would like to inform your readers that the Sharon Memorial Park Cemetery does not have any tombstones. The graves are all marked with ground level bronze markers. Supposedly, it’s “more peaceful and tranquil” for grieving family members!!!!! This is my namesake’s grave. I seem to recall being there once when I was young and there was a memorial for the family as well? Do you have any information about this?